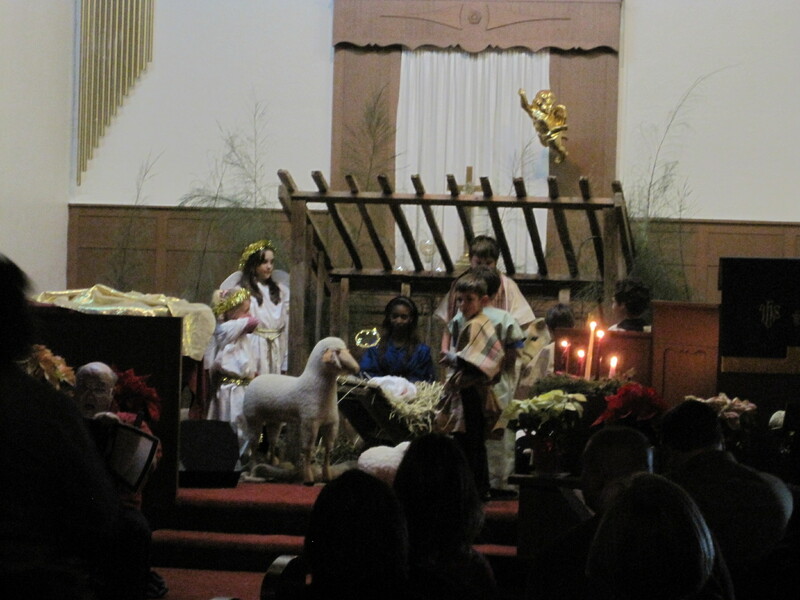 This was our first year with Tom as the pastor on Christmas Eve, and my first coordination the craziest little Children’s Nativity you’ve ever seen. 1. 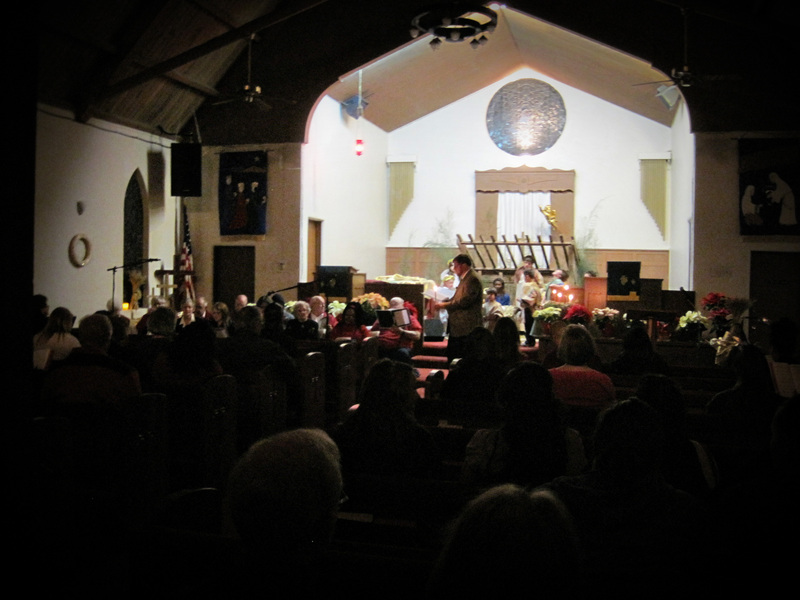 Tom sharing the light of Christ during Silent Night, as the Sanctuary began to glow. 2. 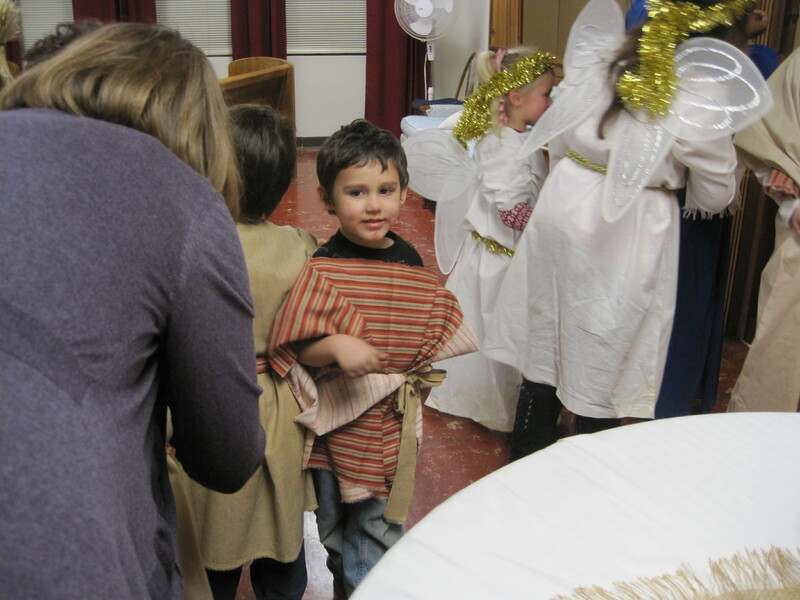 That every child that wanted to part of the Nativity could – even if it meant Tom’s mom and I were frantically throwing together costumes in the Ladies Parlor two minutes before service started. I’m planning to find more fabric this year and get a few more costumes ready for next year – it will be a new tradition that there is always room at our inn for every child that wants to be part of it. 3. Our sweet angels – little Lorelei and our niece Tay, who aside from being cute worked hard on stage to keep those crazy little shepherds and wise men in check when they decided to start moving around the farm animals and ride the stuffed sheep. 4. The ninja shepherd. Oh good heavens, the ninja shepherd. I’m gonna be a ninja. No, sweetie, you’re a shepherd. Okay, I’m gonna be a ninja shepherd. Okay fine, but no karate chopping anything. 5. My big kids – who stepped in and did whatever was needed, and who I didn’t get a single picture of. Hanna took all of our crazy little actors back to the nursery and kept them busy during the first half of church and helped get them ready, while Caleb was our Joseph during the Nativity (Tom paid him $5). 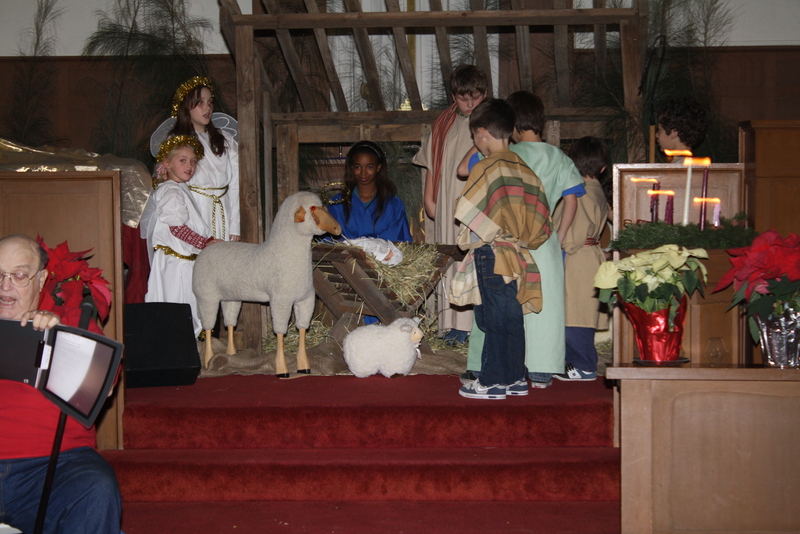 So many great memories of our first Christmas at Dos Palos United Methodist Church. I love the ninja shepherd! Great photos.